We have had working dogs since 1998 and then in 2005 we decided upon a GWP as we have always been interested in the breed and we enjoy hunting. On arrival of Summer and her showing us the breeds working ability we were hooked. Since then we progressed into the show ring as it's our intention to have multi purpose working dogs that can also be to the breed standard. Our dogs wins at shows are proof that we are heading in the right direction. As with certification in conformation our dogs are a combination of quality and working. 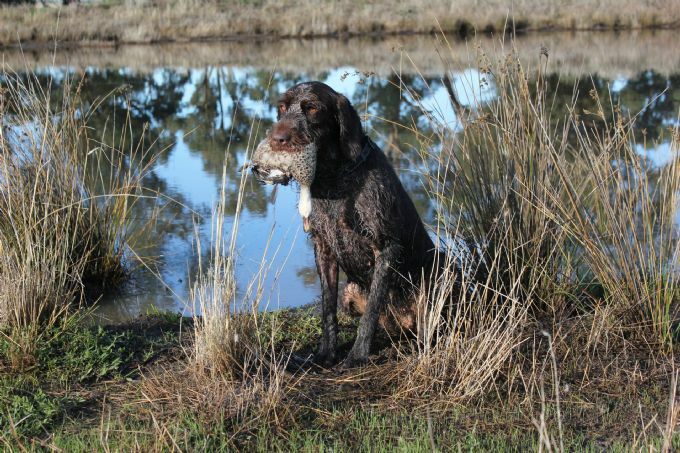 We work our dogs on a regular basis, mainly on deer in the Victorian high country and also hunt them on duck and quail when they are in season.